Areas: Dallas/Fort Worth and surrounding areas. Specialty: Family Law, Divorce, Custody & Visitation, Adoption, Criminal Defense, and DUI/DWI. Attorney Mitch Miers has been named a Top Attorney in Fort Worth, Texas Magazine on three occasions (December 2012, December 2013, December 2014 issues). 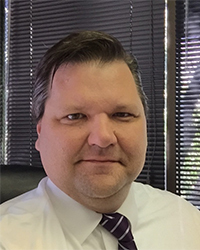 Mitch Miers is a member of the National College of DUI Defense (NCDD), Texas Criminal Defense Lawyers Association (TCDLA), National Association of Criminal Defense Lawyers (NACDL), Tarrant County Criminal Defense Lawyers Association (TCDLA), and the Tarrant County Bar Association among others. Mitch looks forward to serving his clients in need of a DWI lawyer, criminal defense attorney, or divorce and family law lawyer. Mitch is a resident of Grapevine, Texas and is active in the Grapevine-Colleyville schools.